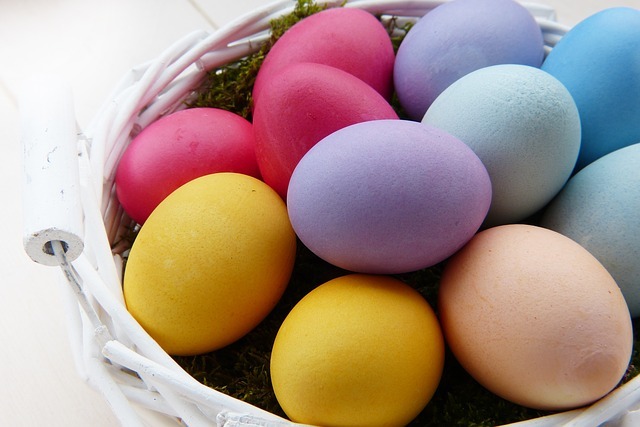 HiltonHead.com » Easter Events in the Lowcountry! April 6: Spring Fling & Easter Things at Coastal Pediatric Dentistry. Join us from 4-6 p.m., as Coastal Pediatric Dentistry teams up with the American Heart Association to bring you the perfect Easter event for families of all ages. 1223 May River Rd., Bluffton. Get tickets. April 7: Hop on over to the Tanger Outlets for their Easter Egg-stravaganza! Children ages 12 and under are welcome to join the hunt for eggs on the activities lawn. Following the Egg Hunt, families can enjoy face painting, make-and-take crafts with The Sandbox Children’s Museum, DJ entertainment, story time on the Bluffton Library Bookmobile, visits with the Easter Bunny and more! 11 a.m. 1414 Fording Island Rd. (843) 837-5410 or tangeroutlet.com/hiltonhead. April 13: The Shelter Cove Community Park will host the Easter Eggstravaganza. The event promises to be the best Easter egg hunt on the Island. Enjoy bounce houses, concessions and other entertainment. 10 a.m.-1 p.m. Admission is free. 39 Shelter Cove Ln. (843) 681-7273 or islandreccenter.org. April 13: Please join the Maye River Baptist Church, for fun and fellowship at our Annual Easter Celebration. The free event will include: Easter Egg hunt for all ages, fun family photo opportunities and a cupcake buffet (gluten free cupcakes will be available). This year we would like you to wear your Easter Bonnets and Ball Caps. Judges will be in the crowd to award special prizes for decorated bonnets and ball caps, so be creative and get the judges attention. We are pleased to have the Bluffton Police Department and their K9 Justice, come out and meet them. Don’t forget your Easter Basket! Kids will collect eggs and exchange them for a goodie bag. 3507 Okatie Highway, Okatie. 843-757-2518 or mayeriverbaptist.org. April 13: The Grace Community Church Totally Free Easter Egg Hunt will be held from 11 a.m.-1 p.m. at the Grace Community Church, 450 Spanish Wells Rd., Hilton Head Island. Totally Free Easter Egg Hunt with 15,000 eggs and 25 Special Prize Eggs. 11:30 Egg Hunt for Ages 4 and under. 11:45 Egg Hunt for Ages 5-12. There will also be games, prizes and food! 843-681-6698 or gracehhi.org. April 13: 2nd Annual Great Helicopter Easter Egg Drop! The entire community is invited from 10 a.m. to 3 p.m. for the second annual Great Helicopter Easter Egg Drop at Beaufort Academy Football Field, 240 Sams Point Rd. We’re dropping thousands of plastic Easter eggs from a helicopter! The Easter Egg Drop is an Easter Egg Hunt open to the first 1,500 pre-registered children in our community between the ages of 2-10. There will be TWO golden eggs with GREAT PRIZES including a NINTENDO SWITCH & an APPLE ITOUCH, plus other cool prizes! The fun doesn’t stop at the Egg Drop, we’ll also be having a Bounce House Area with over 8 inflatables, Balloon Artists, Professional Face Painters, KONA Ice, FOOD TRUCKS, DJ Jesse Gavigan & Music, and of course the EASTER BUNNY! There will be a $10 charge per child, and that will include unlimited bounce house use, professional balloon artists by Carol’s Balloon Art, professional face painters, Easter Bunny pictures and the egg drop. Please note that parents will NOT be allowed on the field this year – and it starts at age 2, so your child will be on the field with student volunteers. 4 Egg Drop Times: Ages 2-5, 11:30 a.m. (YELLOW). Ages 6-10, 12:30 p.m. (GREEN). Ages 2-5, 1:30 p.m. (BLUE). Ages 6-10, 2:30 p.m. (RED). $10. You need to pre-register your child(ren) in order to participate. Get your tickets here. April 17: “Flashlight” Easter Egg Hunt Spring Social at the First Baptist Church Hilton Head Island. Bring a flashlight to search for eggs on the playground in the dark. Hot Dog Dinner at 7 p.m., Egg Hunt at 8 p.m. Open to the public. No admittance fee. 100 South Forest Beach Dr, Hilton Head Island. 843-785-4478 or FBCHHI.ORG. April 19-20: Hop aboard a beautiful red wagon for an Easter Bunny Wagon Ride through the Sea Pines Forest Preserve. Experience a spring exploration, where children play “I Spy” along the way to Fish Island where the Easter Bunny is waiting. Refreshments will be provided, along with activities and games for the whole family. $16 per adult and $13 per child (ages 12 and younger). Rides take place at 11 a.m., 12:30 p.m. and 2 p.m. Reservations are required. 843-842-1979 seapines.com. April 20: Grab all your peeps and head to South Beach for the Salty Dog’s “Easter EGGstravaganza Egg Hunt.” Hunt for more than 10,000 eggs with prizes for everyone! The morning egg hunt also includes dancing and singing with Beth the Music Lady, free face painting, along with tons of prizes and tasty treats. For ages 12 and under. The Salty Dog Café in The Sea Pines Resort, 232 S. Sea Pines Dr. 843-671-2233 or saltydog.com. April 21: Easter Sunrise Service from 6:30-7:30 a.m. on the beach in front of the Marriott Grande Ocean Resort, Park at the church, Walk the bike path to the Alder Lane Beach Access and walk to the beach, No Charge, The public is invited. fbchhi.org. April 21: Sunrise Service: 7 a.m. at the Oyster Factory Park. Hosted by St. Andrew By-The-Sea and First Zion Missionary Baptist Church. 843-785-4711 or www.hhiumc.com. April 21: Join us at the Fripp Island Resort Beach Club for our annual Easter Egg Hunt! Get there by 10 a.m. for Magic Gary’s Magic Show, then we’ll start hunting for eggs at 10:30 a.m. You might want to eat your carrots before coming to help your eyes spot the Golden Egg! Please bring your own Easter basket or bucket. This event is $5 per hunter. Parents must present club or guest cards. Get eggcited, and hop to it! 843-838-1516 or frippislandresort.com. April 21: Join us at The Porch Southern Kitchen & Bar for Brunch with the Easter with menu from Executive Chef Tim Nelson and his team. In addition to pictures with the Easter Bunny, local non-profit Charli’s Critters will have bunnies, chicks, gators, and more for a meet and greet. A portion of the proceeds from the day’s activities will be donated to support wildlife education, preservation, and conservation. 10 a.m.-2 p.m. Unlimited mimosas for the adults! Adults – $34 / Seniors – $29 / Children ages 3-12 – $16 / Children under 3 – Complimentary with paid adult. 855-474-2882 or beachhousehhi.com.